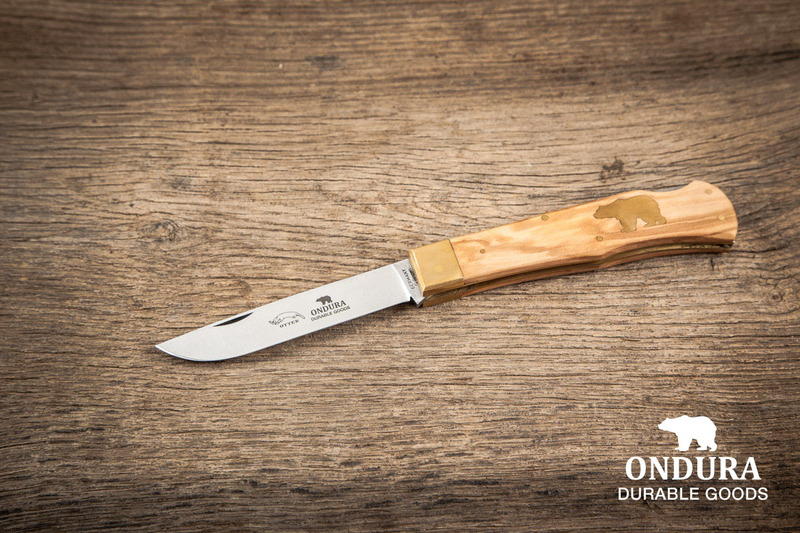 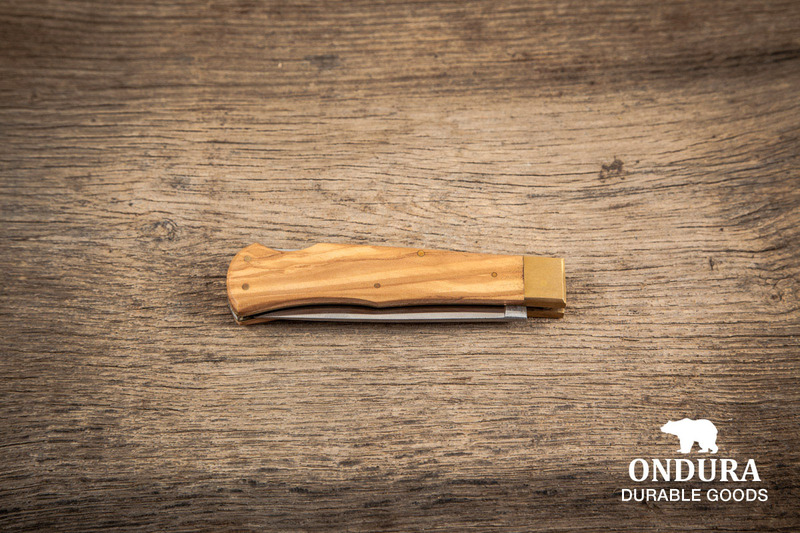 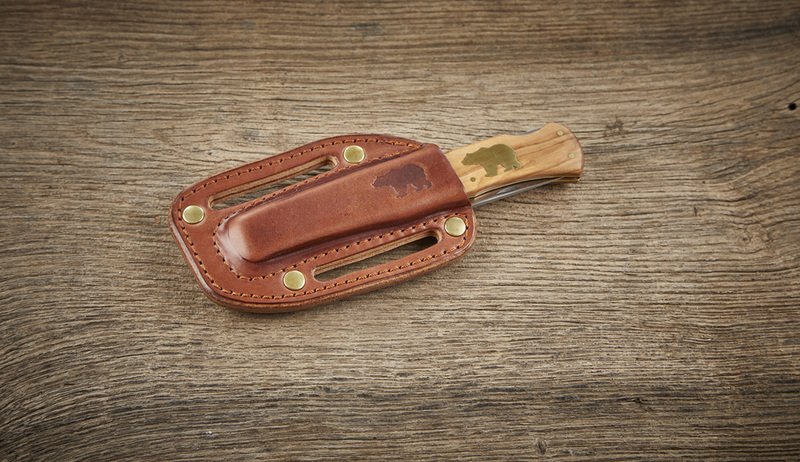 The ONDURA Pocketknife is a real classic german pocketknife. 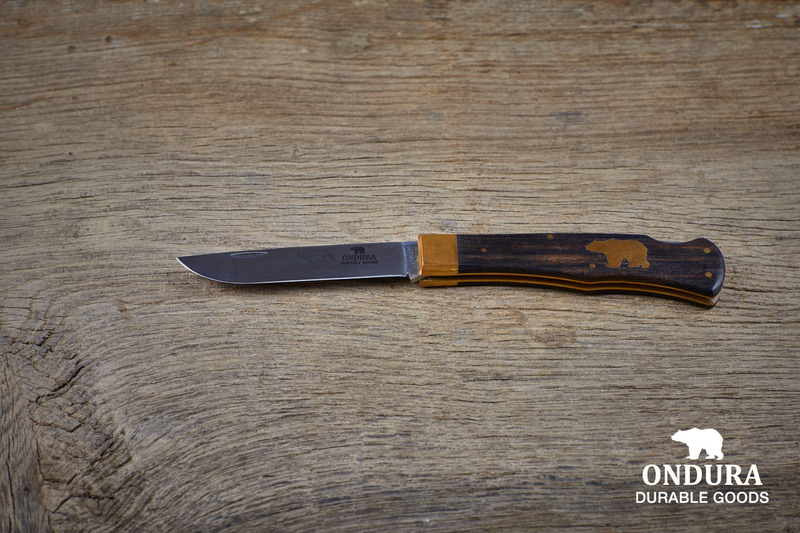 It is developed and produced by the famous OTTER-Messer Company in Solingen/Germany. 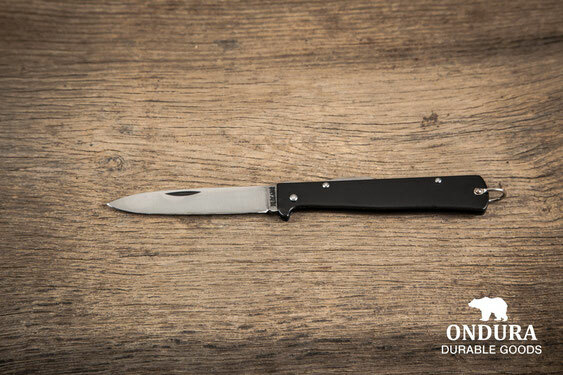 The blade length is 90mm and made of carbon steel. 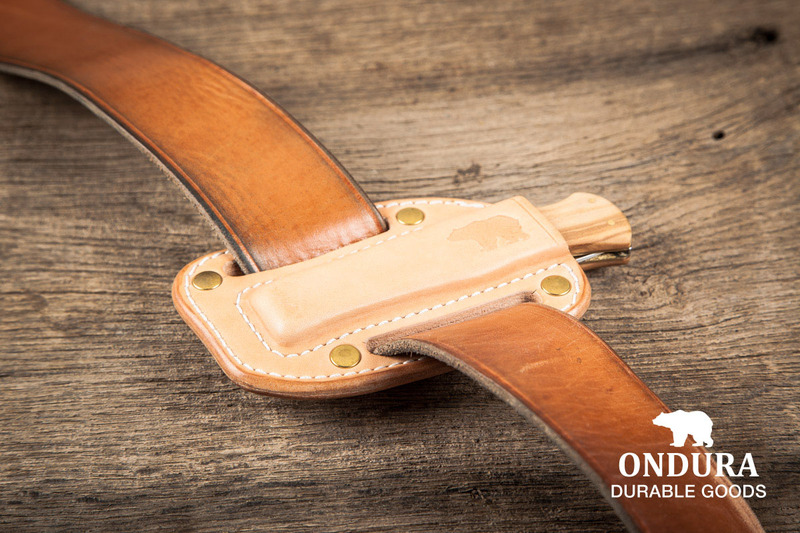 For safety reasons it has a backlock. 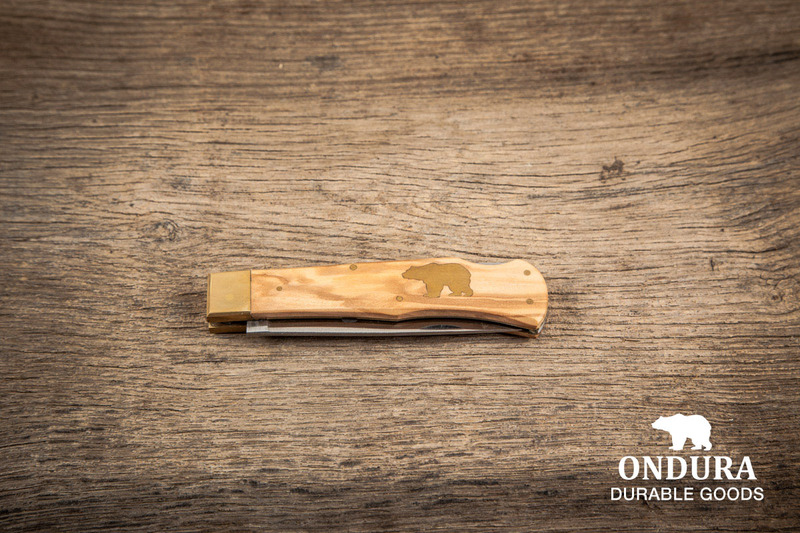 The handles are made from olive or grenadil wood with a nice texture and a brass ONDURA bear inlay. 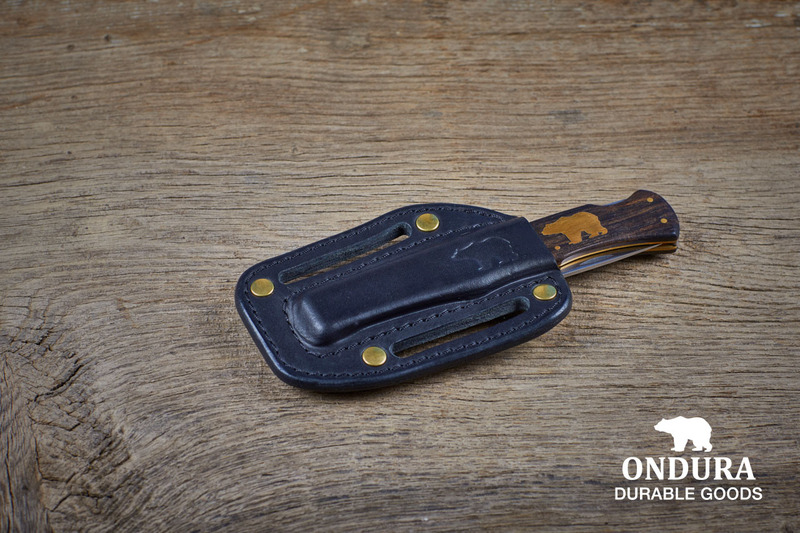 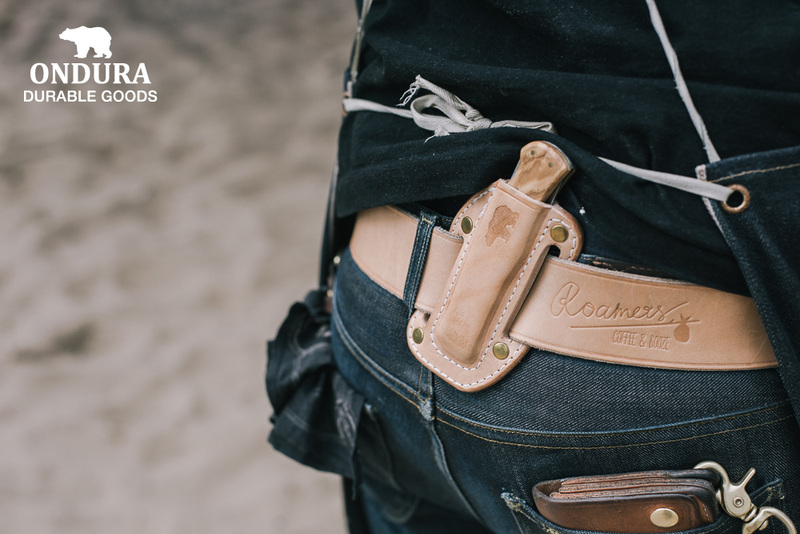 The perfect edc knife: slim, functional and robust. 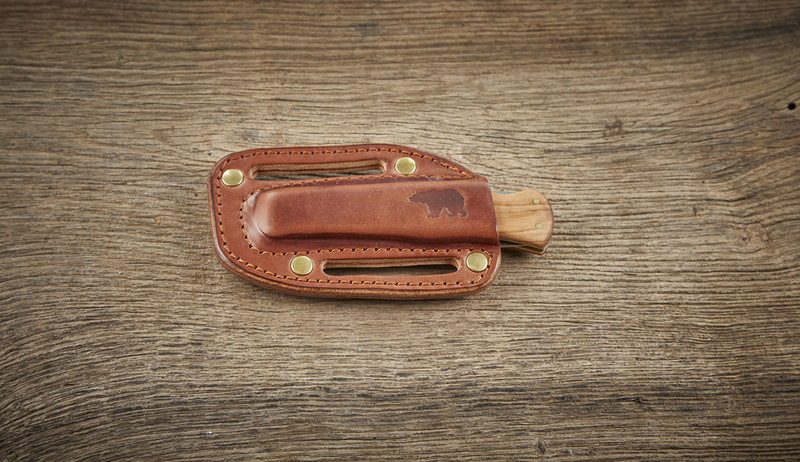 Black bear color. 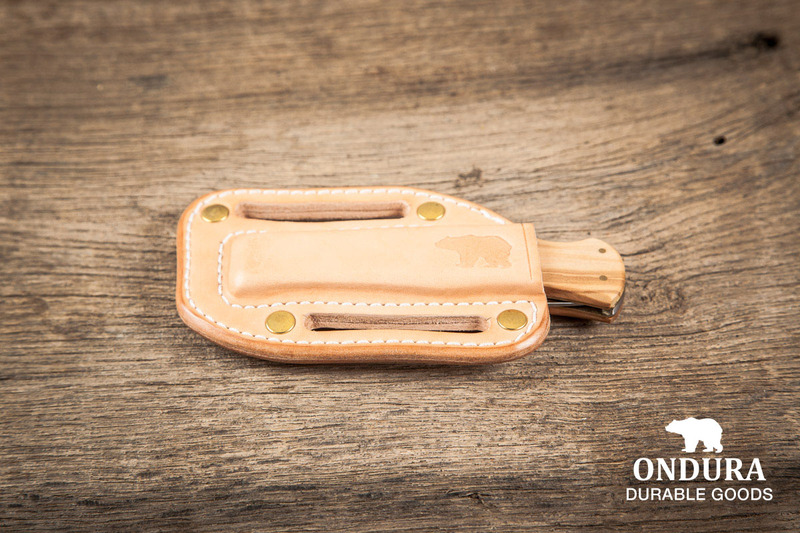 The Mercator Knife is a classic german military pocketknife with a long history. 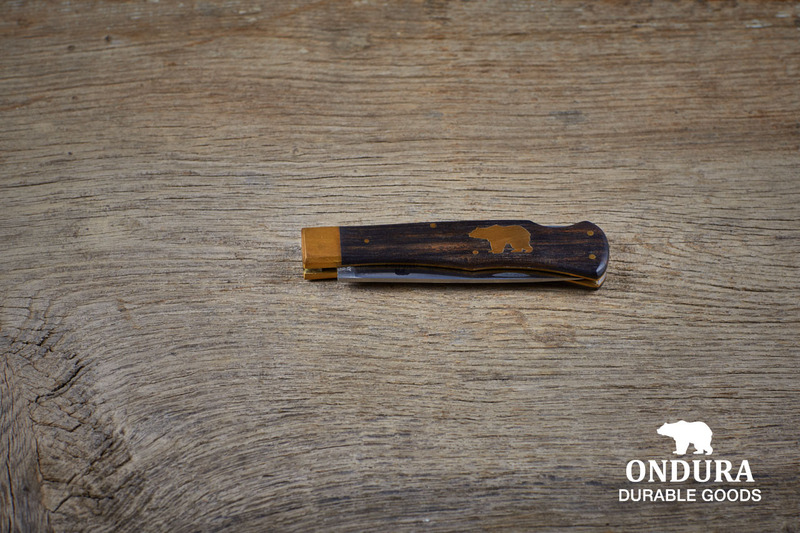 The blade length is 90mm and made from carbon steel. 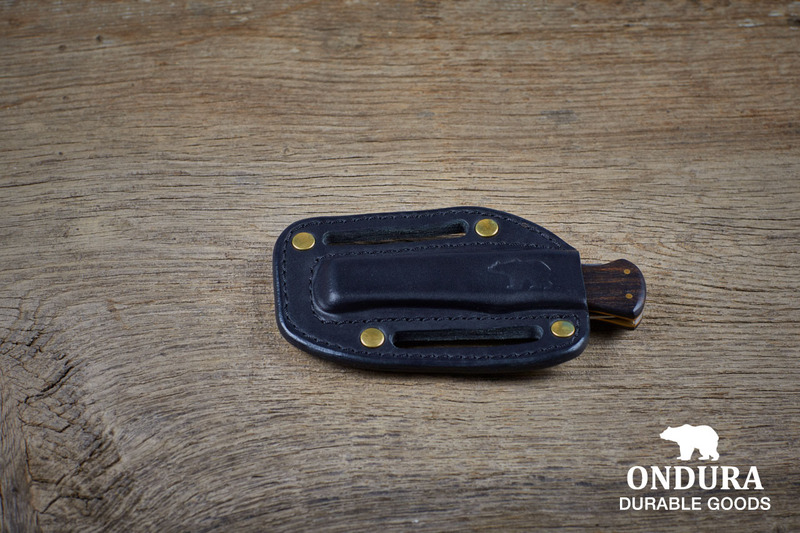 The handles are made of colored black steel with backlock and loop to attach a lanyard. The perfect edc knife: slim, functional and robust. 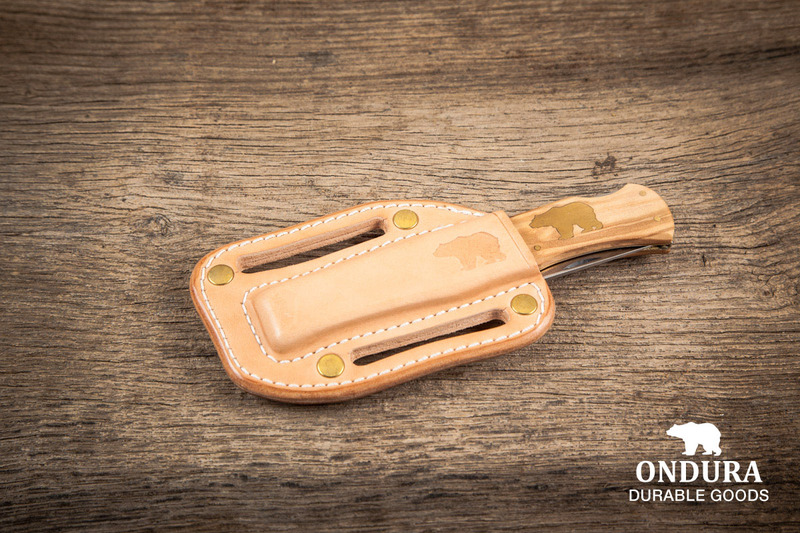 The handles are made of brass with backlock and loop to attach a lanyard.